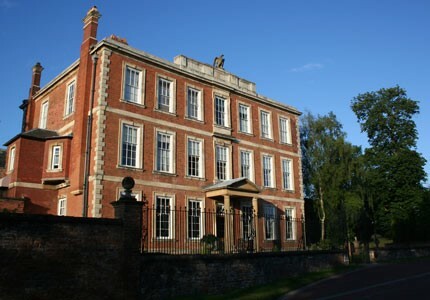 Middlethorpe Hall was built for the Barlow family between 1698 -1702. It was fashionable at this time for wealthy gentlemen to visit Europe on a Grand Tour, which could last several months. In 1712 Thomas Barlow and his son Francis set out on such a visit and while they were away the house was let to Lady Mary Wortley Montagu. Mary was worried about her son’s health and was advised that cold baths using the water from the Piking Well on the Fulford side of the River Ouse would strengthen him. She agreed to this, but was not wholly convinced of the benefits. Mary wrote many letters and those to her husband who was in London furthering his career, showed that she missed him a great deal and longed for him to join them at Middlethorpe, but he never did. Mary left Middlethorpe in August 1714, afraid that political changes when George 1 succeeded Queen Anne to the throne would expose Middlethorpe to Jacobite “plunderers”. For safety she went to stay with the Carlisles at Castle Howard. Later in life, Mary became a well-known writer and wrote poems about the poor treatment of women. In 1715, she suffered from smallpox but survived. In 1716 she went with her husband to the Embassy in Constantinople and while there saw people being inoculated against smallpox. On returning to England she had her son and daughter inoculated and was ridiculed as an “unnatural mother” who had gambled with her children’s lives. Mary died in 1772. Lady Wortley Place, a group of houses at Middlethorpe, commemorates her time at the Hall.